At the expense of rejection, I expose my passion with paint for it is with this strength I spotlight the vulnerable part of me; without that element, my paintings would be void of feeling. Trompe l'oeil leaves no room for shyness or timidity, because it dares to defy reality. I paint with passion and uncompromising detail to captivate my viewers with the intrigue of Trompe l'Oeil. The deceptive depth perception, shadows, unseen light source, and artistically replicated composition render the illusion. The best analogy I can express is likened to reading a good novel or watching a good movie. The viewer is drawn in, becomes part of the story, or even becomes the character. I am a gift giver and when I create a work, it is not only the gift of the painting, it is the ribbons and bows, suspense and surprise, memories and emotion I bestow, because it contains part of myself. I intend my painting to remain forever a pleasure and fountain of joy and interaction to the viewer and owner. 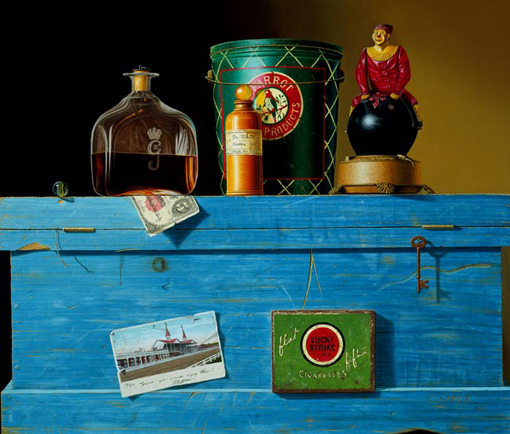 Unbeknownst to him, an unplanned stop to the High Museum of Art in Atlanta, Georgia in the late 1980's became the momentum that drew him to Trompe l'Oeil and Classical Realism after he saw an original William Harnett painting. He marveled at Harnett's ability to create both unbelievable detail and illusionary dimension and began a personal study on the Old Masters Dutch still life painters and on the American Trompe l'Oeil School of painters of the late 1800's, specifically, William M. Harnett, John Haberle and John Peto. Clapper's painting developed during the 1980-90's while he lived and worked in Gainesville, Florida. 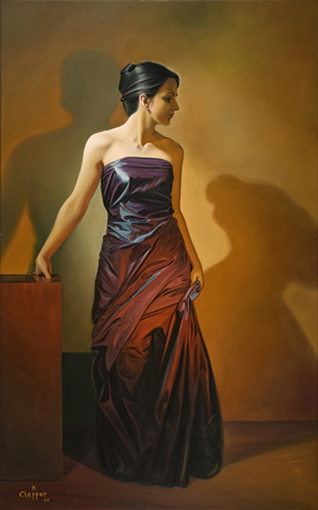 It was during this season, he developed his own techniques and proficiency as he applied the Old Masters' methods of indirect lighting, shadowing, glazing and multi dimensional affects to the canvas. 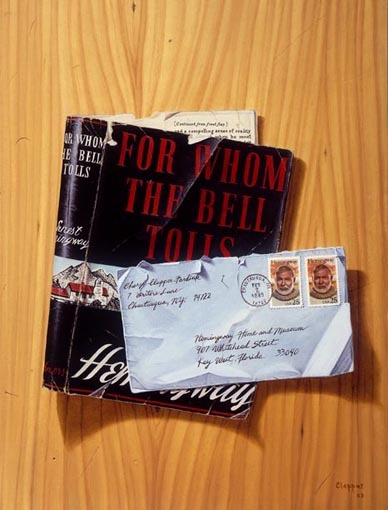 After a period of painting still life's, Clapper completed series of trompe l'oeil paintings that pays homage to the pioneers of American trompe l'oeil such as Harnett and Peto. In 1994, he relocated to Arizona where he still abides and works in his Scottsdale studio. 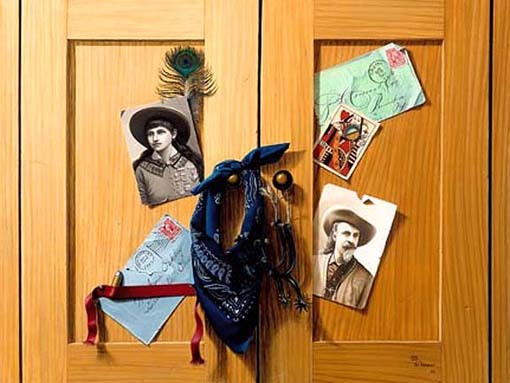 Clapper's study focused once again to the genre of trompe l'oeil including this time some modern day masters, namely Ken Davies, Gary Erbe and David Brega. In April of 2004, Clapper co-founded the International Guild of Realism, an exclusive group of today's finest realist painters dedicated to the genre of classical and contemporary realism. 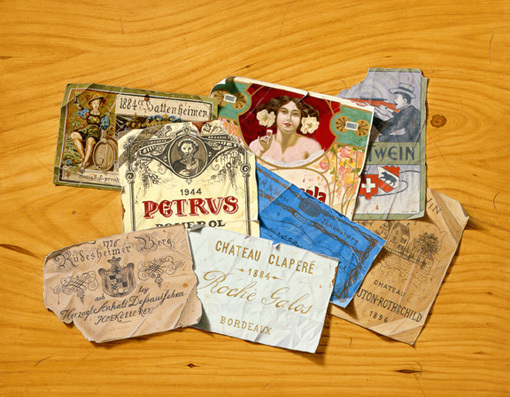 Clapper is also the president of the Trompe l'Oeil Society of Artists, an exclusive group of today's finest trompe l'oeil artists. 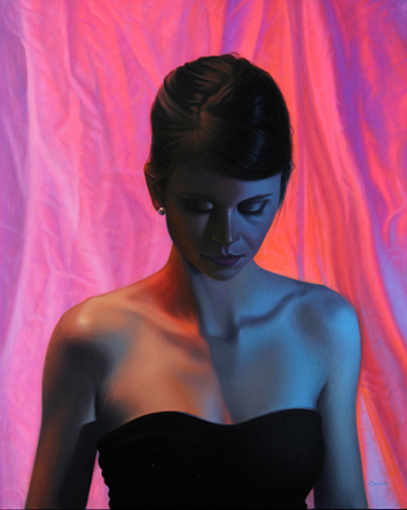 "My new figurative style is influenced by different art movements throughout history. I use glazing and careful blending of paint that the Dutch still life masters perfected. The compositions at times give homage to the great figure painters of the past like Bouguereau, Sargent, Gerome and Alma-Tadema. 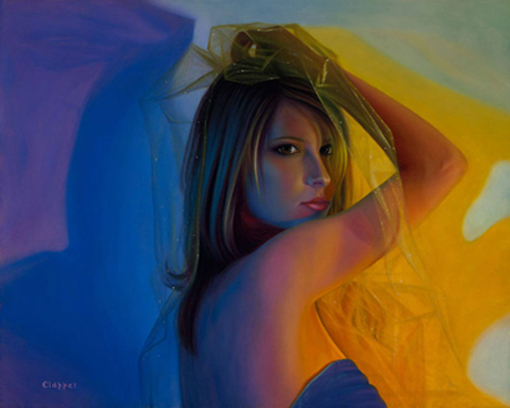 Dramatic lighting and extreme colors create a contemporary and fresh look that bring the paintings into the 21st century."